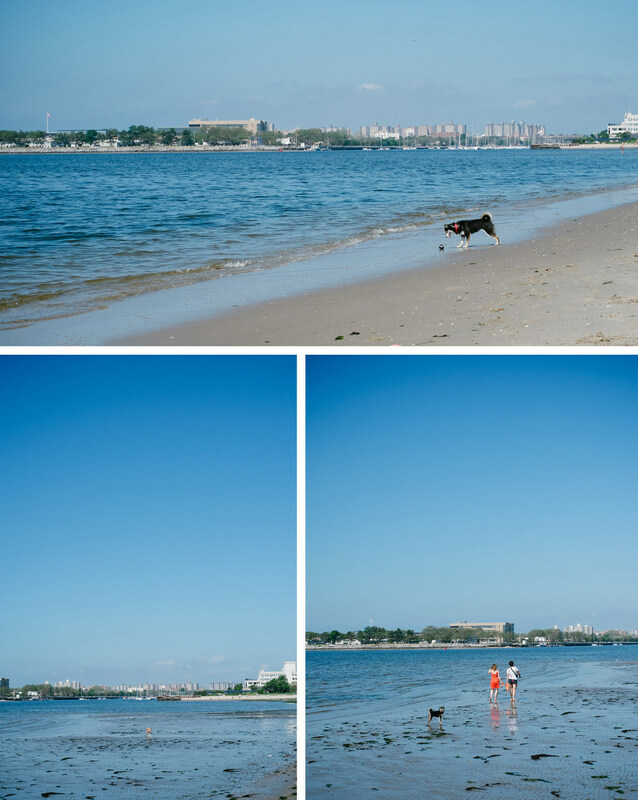 Post Sandy, we have not been able to find a dog-friendly beach for our pups to run around at. Luckily, Nami's pawrents knew of a place. The beach was definitely dog-friendly, but it was a little dirty -- at least the part that was closest to the parking lot. 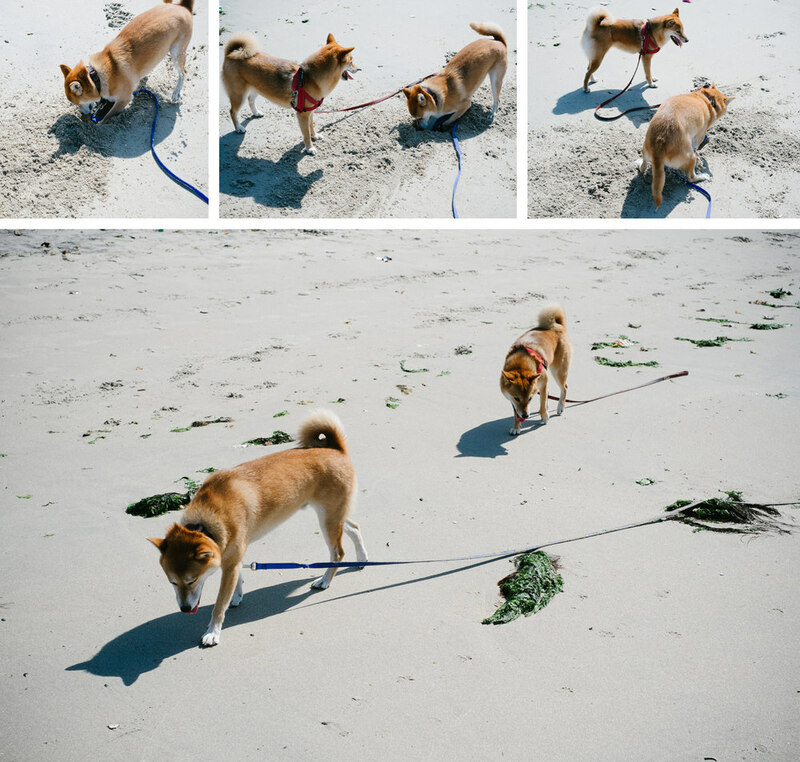 Shio and Nami had a lot of fun sniffing and investigating the seaweed and the trash though. 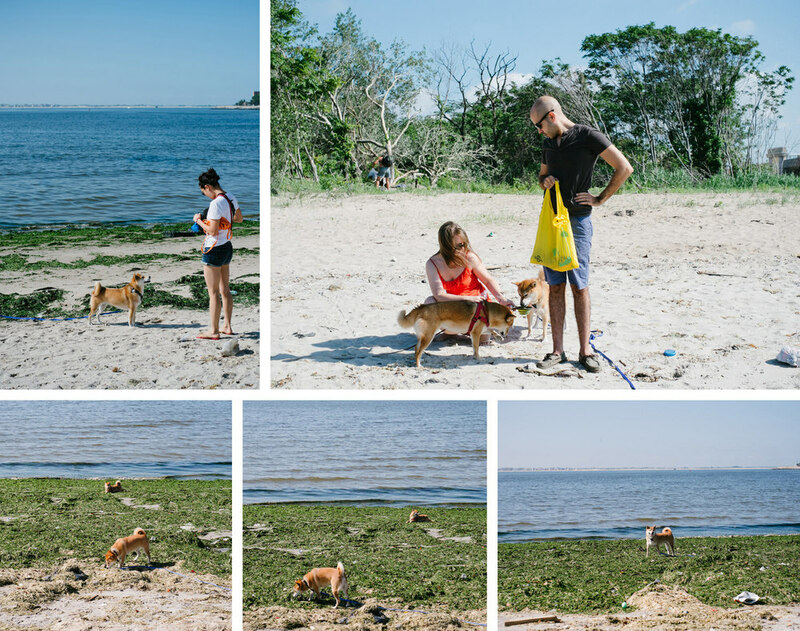 Luckily, as we walked further away, the beach got cleaner. Emi also relaxed and started running around. Shio wanted to show Nami his affection for her by digging her a big hole. The heat got to be pretty unbearable though. After about an hour, we headed back to the car (and air conditioning!). All in all, a pretty good morning! Photos taken with Fuji X-E1, XF 35mm f/1.4.